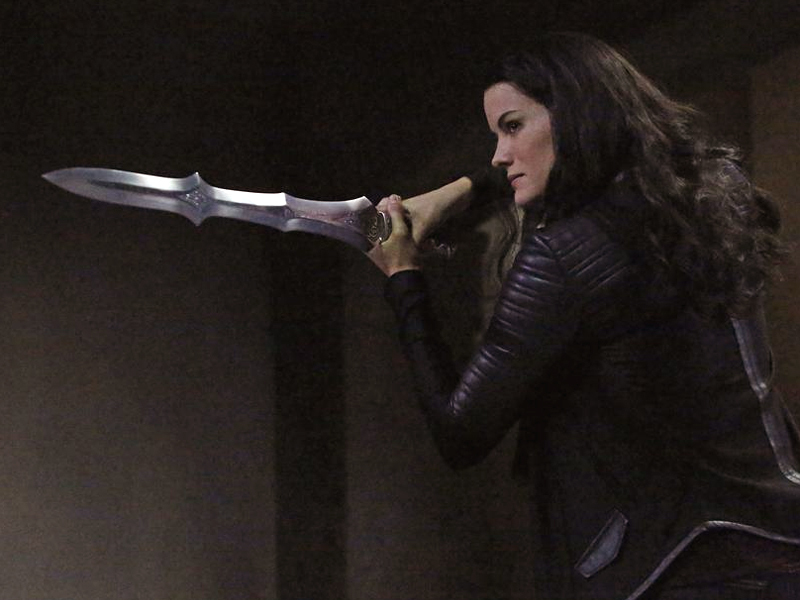 "Who You Really Are" - Coulson and team come to the aid of a confused Lady Sif, who has lost her memory after fighting with a mysterious warrior, whose true mission will send shockwaves through S.H.I.E.L.D. Meanwhile, Bobbi and Mac continue to hide their true mission from everyone close to them, on "Marvel's Agents of S.H.I.E.L.D.," TUESDAY, MARCH 10 (9:00-10:00 p.m., ET) on the ABC Television Network. Guest starring are Adrianne Palicki as Bobbi Morse, Henry Simmons as Alphonso "Mack" Mackenzie, Jaimie Alexander as Lady Sif, Eddie McClintock as Vin-Tak, Alexandra Manea as nurse, Lidia Porto as head nurse, Danny Lopes as Bruno, Ben Griesse as Tiago, Ruben Rabasa as Mr. Cardozo and Markell Andrew as officer Carvalho.